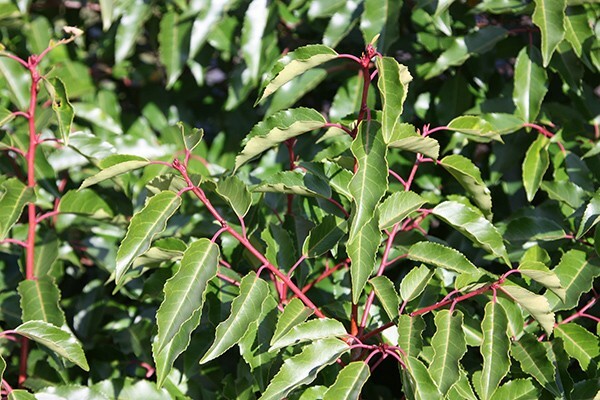 A lovely large, evergreen shrub that has dark green leaves with red stalks. Small white, slightly fragrant flowers are borne on long racemes in early summer, and often followed by small, red fruit which eventually turn dark purple. Portugal laurel is an excellent hedging plant and it can even tolerate chalky soils. Supplied in approx 2-3 litre containers.